Nine of the top 10 brands in the study are digital brands, with 35% digital tech, social networking or digital facilitator brands. The New York-based brand loyalty and customer engagement research consultancy examined 761 brands in 84 categories. 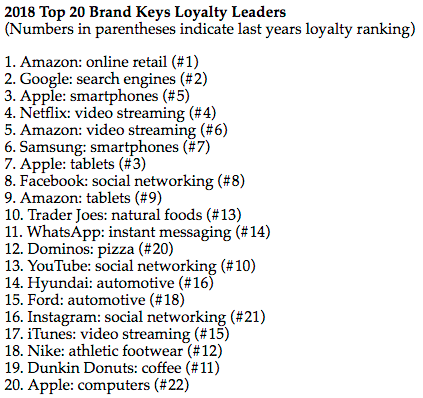 However, non-digital brands did move up the Loyalty Leaders List an average of 11 positions, with a few making major leaps. That's an "incredible accomplishment" in today's marketplace where consumers are hot-wired to the Internet, said Robert Passikoff, Brand Keys founder and president. But traditional brands have worked harder to create the emotional value connections necessary to bolster the loyalty necessary for keeping current customers, developing new ones, and making profits, according to the study. “Lyft has managed to do it by providing down-to-earth friendly service, making their service feel more like a ride from a friend than an Uber-basedn taxi service,” Passikoff tells Marketing Daily. Loyalty is a predictive leading-indicator of future consumer behavior, according to Brand Keys. The more loyal the consumer, the better consumers behave toward a brand. The better they behave, the better the brand does in the marketplace, Passikoff says. He says he found the most interesting finding to be how fast traditional, non-digital/online brands are adapting marketing and positioning to meet-consumer-expectations values, the same ones that made digital customers so very loyal. 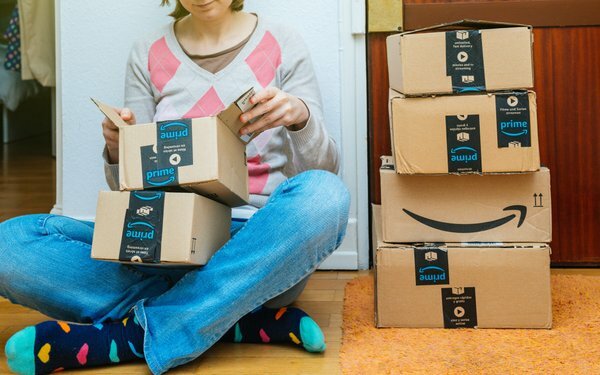 “We’ve come to believe that traditional brands will come in second to tech, so it’s been surprising to find that traditional brands are the ones showing the strongest growth when it came to loyalty this year,” Passikoff says. The five brands that showed the greatest loyalty leadership gains in 2018 were T.J. Maxx (+38 to #35, currently with net sales up 12%); 5 Guys Burgers & Fries (+36 to #64 and same-store sales up 3%)l Zara (+32 to #57, with same-store sales +2%); Lyft (+18 to #77, now with 35% of the U.S. rideshare market); and JPMorgan Chase (+17 to #51 accompanied by an 18% increase in profits). The future of loyalty will continue to lie in a brand’s ability to better meet customer expectations, more and more of which are based on emotional values, Passikoff says. The Brand Keys analysis was conducted in September 2018 and includes assessments from 50,527 consumers, 16 to 65 years of age, recruited from the nine U.S. Census Regions.